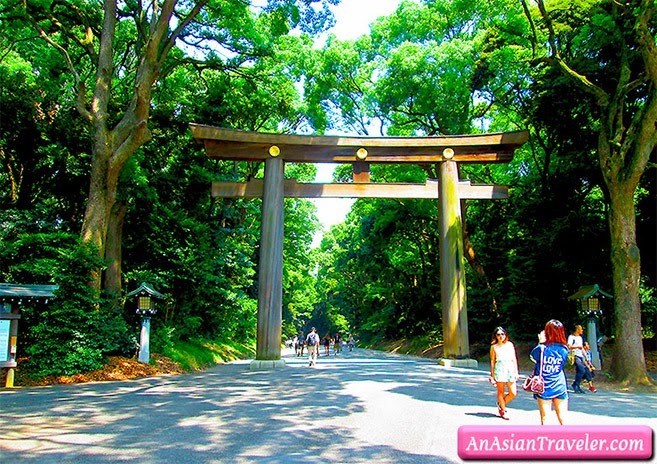 ✈While in Tokyo we made sure to visit the Meiji Jingu Shrine, which is about a 20-minute walk from Hotel Dormy Inn. 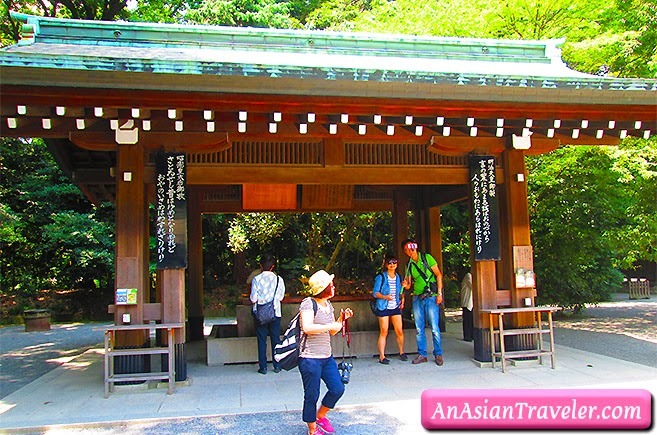 This Shinto Shrine was built 100 years ago to honor the divine souls of Emperor Meiji and his consort Empress Shoken. 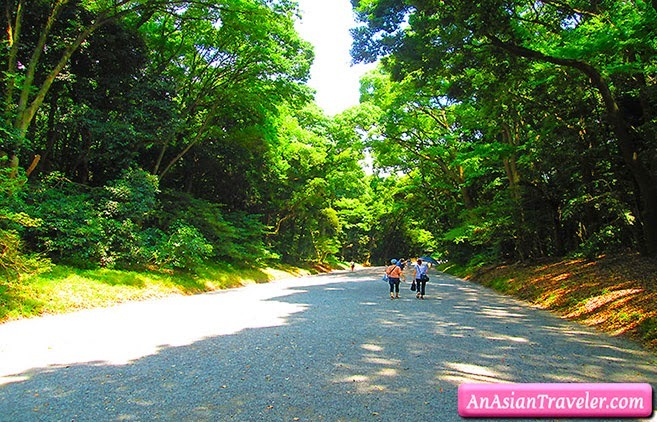 It is surrounded by a holy evergreen forest that covers an area of 700,000 square-meters (around 175 acres) in the inner precinct, the area of Yoyogi. First thing you'll notice here is the towering 40-foot high (12-meter) Torri Gate at the entrance, which is made of 1,500 year-old Cypress. It was modeled both in form and size exactly after the original built in 1920. The shrine was destroyed during the Second World War but was rebuilt shortly thereafter. 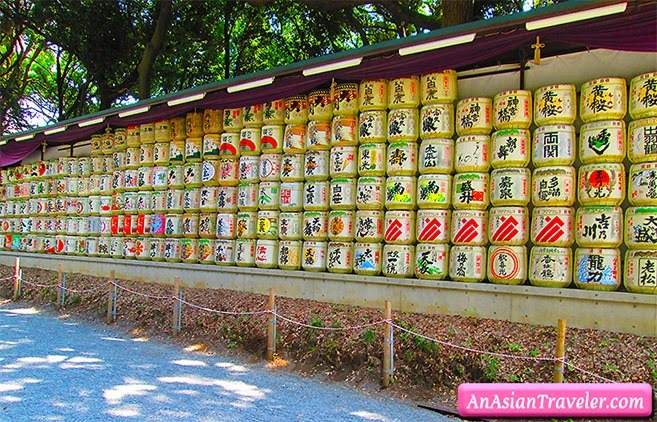 While walking along to the main shrine we noticed numerous barrels of Sake wrapped in straws on the right side of the pathway and Wine barrels on the opposite side. 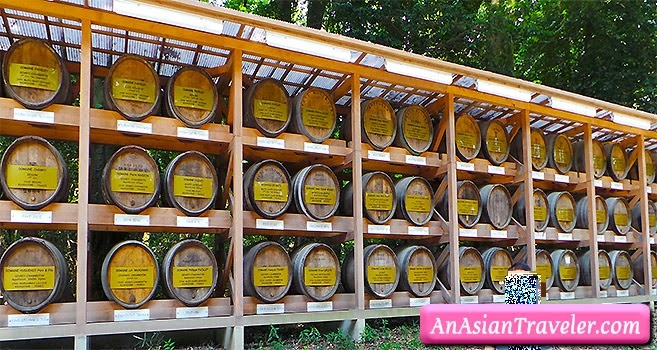 It is said that the sake barrels are donated every year by Meiji Jingu Nationwide Sake Brewers Association; while the wine barrels have been offered from the Bourgogne in France. Near the entrance of the main shrine, I was so curious about the Temizuya, a water ablution pavilion where I eagerly joined the symbolic purification. 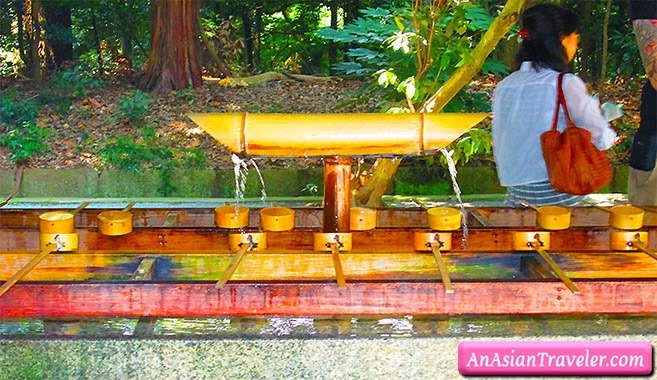 I observed the people first, then I started dipping the ladle into a small communal water-filled stone basin and rinsing my hands and mouth before approaching the main Shinto shrine. For a first time visitor, it's a unique experience not to be missed. 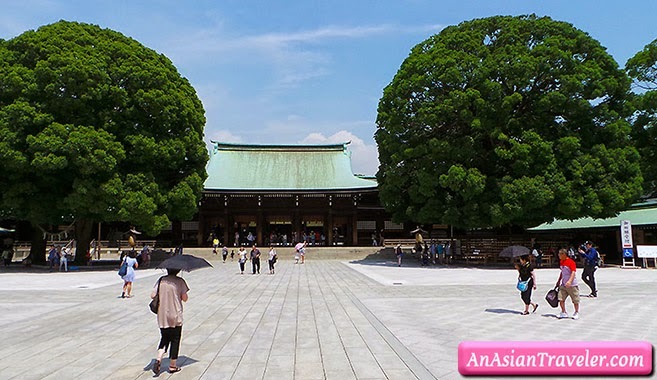 Inside the main shrine building, the two massive ancient camphor trees were a welcome sight. We spent most of our time here just walking around and observing some people who were so occupied writing personal prayers and wishes on an Ema, a votive wooden tablet before they hung them onto the wall hooks. However, this is not free. 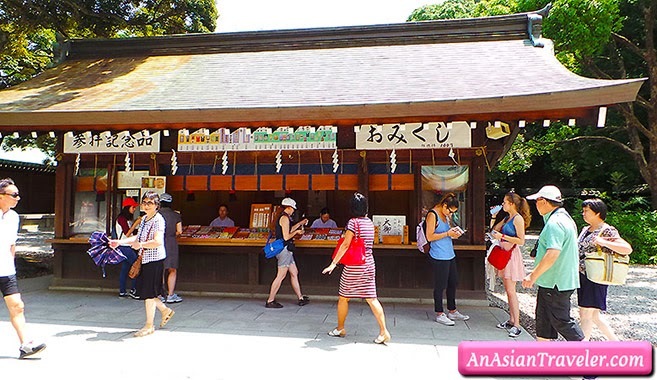 It is offered to the visitors for 500 Yen per tablet. 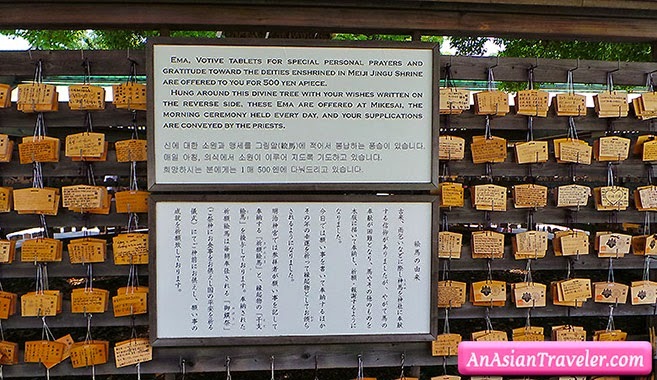 Ema are offered at Mikesai, the morning ceremony everyday, and all the supplications are conveyed by the priests. We spotted Shinto male and female staff walking around the corridor. Their unique uniform got my attention especially the women wearing a white top with red hibakama, which is a divided skirt. There are also a few stores selling lucky charms, talisman and amulets for all kinds of occasions and purposes. 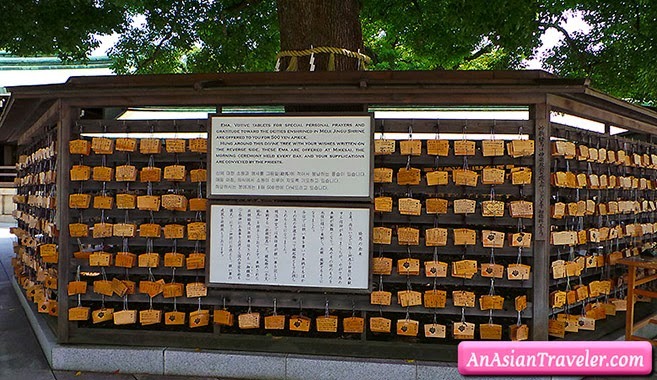 Meiji Jingu is a Shinto shrine. 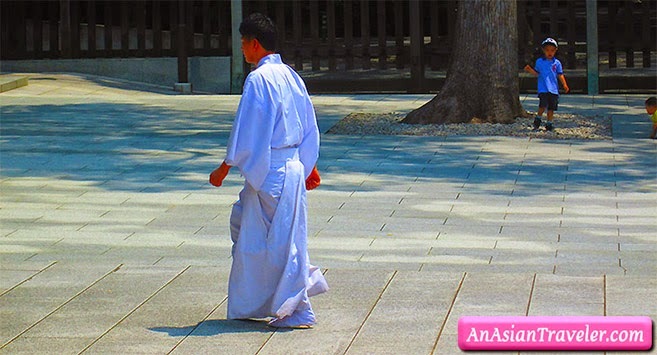 Shinto is called Japan's ancient original religion, and it is deeply rooted in the way of Japanese life. 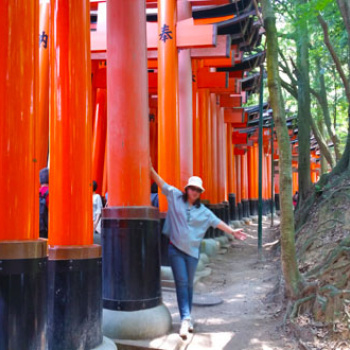 Shinto has no founder, no holy book, and not even the concept of religious conversion, but Shinto values for example harmony with nature and virtues such as "Magokoro" (sincere heart). This place is not touristy so we were able to roam around freely. With 100,000 soaring trees planted, it was absolutely pleasing and tranquil. 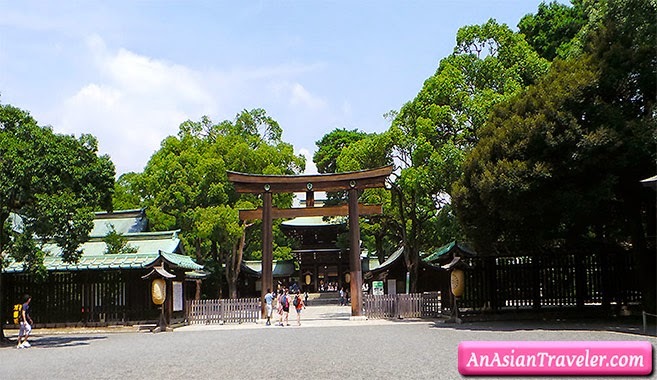 The entire complex of Meiji Jingu Shrine is actually huge so if you're planning to visit here make sure to wear comfortable shoes. It's free admission to temple grounds. 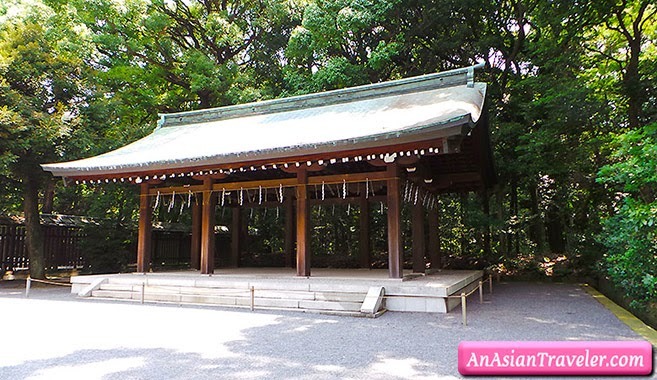 But some places within the shrine complex are asking admission fees.